It’s been a while since I’ve done a 5 Tries post, so let me reintroduce the concept. I take an underutilized product from my makeup collection and use it for five days and if possible in five different ways. These posts allow me to use a bit of product up as well as review something that I haven’t touched on recently. 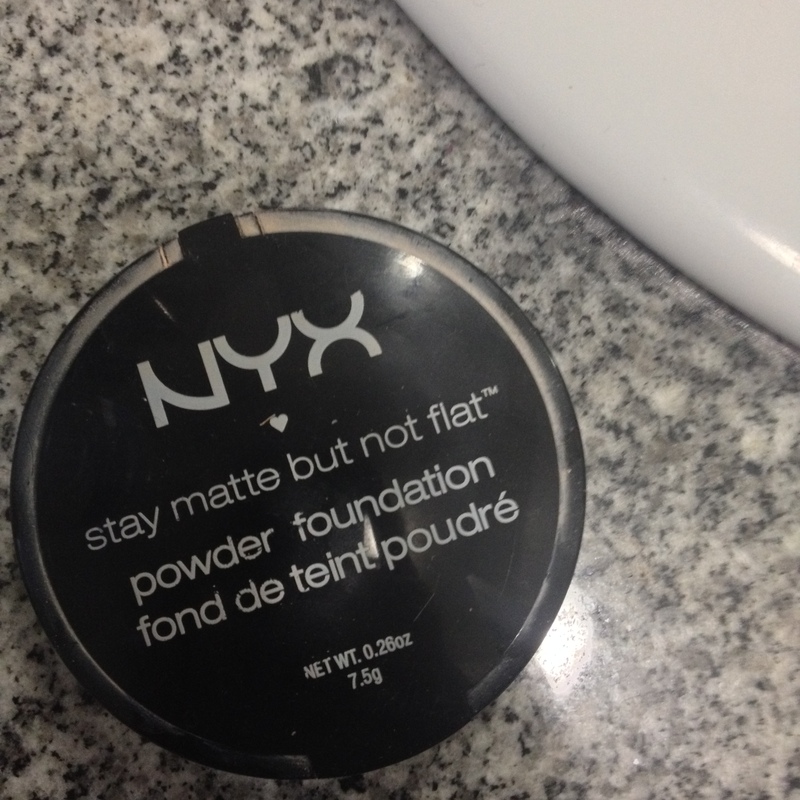 Today’s post is about NYX’s Stay Matte Not Flat Powder Foundation. Please excuse the mess on the packaging; the powder tends to get all over the outer rim but the product itself isn’t messy or hard to apply. This also comes with a circular makeup sponge, which I like for application but you can also use a brush or beauty blender if that’s your preference. I’m in the shade 04 Creamy Natural. According to the description Creamy Natural is a shade for porcelain skin with peachy undertones. Personally, I think that’s a great description for my skin tone. The Stay Matte But Not Flat Powder Foundation comes in twenty different shades, so the variety with this line is a definite plus. 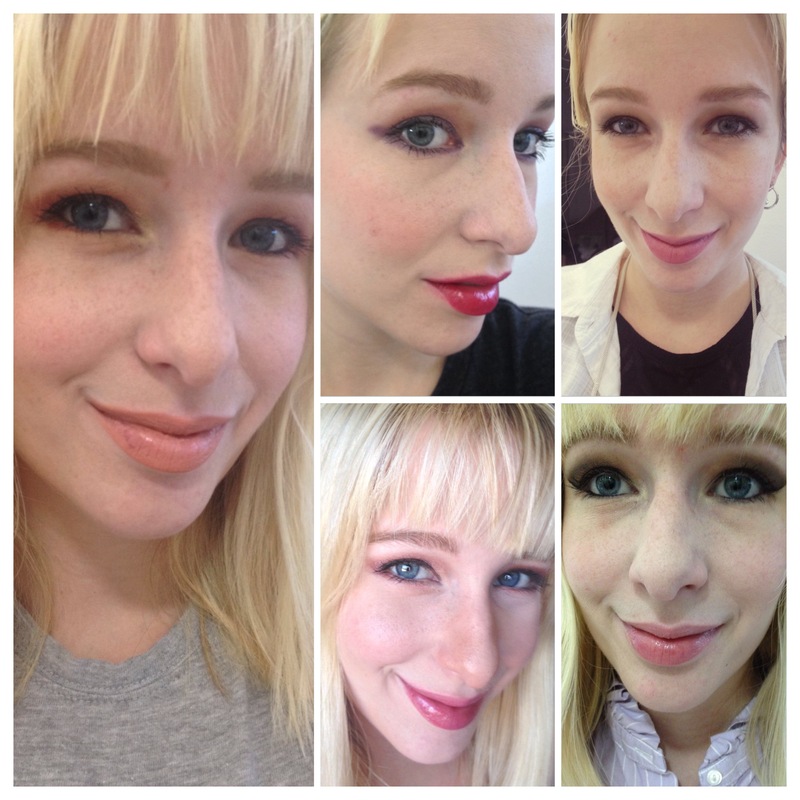 Here are five different photos of me using the NYX powder foundation. As you can see from my five tries, this foundation is well and truly matte. Any shine you see I put there with highlighter. It’s a medium coverage, well milled powder that doesn’t linger in my smile lines. I think Creamy Natural is a good shade for my skin, particularly in the cooler months. I don’t tan much, but in the realm of foundations a little bit of sun goes a long way. I don’t find this powder to be cakey if used on your full face, unless you have acne prone skin. This product does not irritate my skin, but if I already have a few blemishes, the powder clings in a way that draws attention instead of masking the problem areas. This would be a great compact to keep in your purse (preferably in a makeup bag since the compact is a bit messy) for touch-ups since it takes all the shine and oil out of your skin. 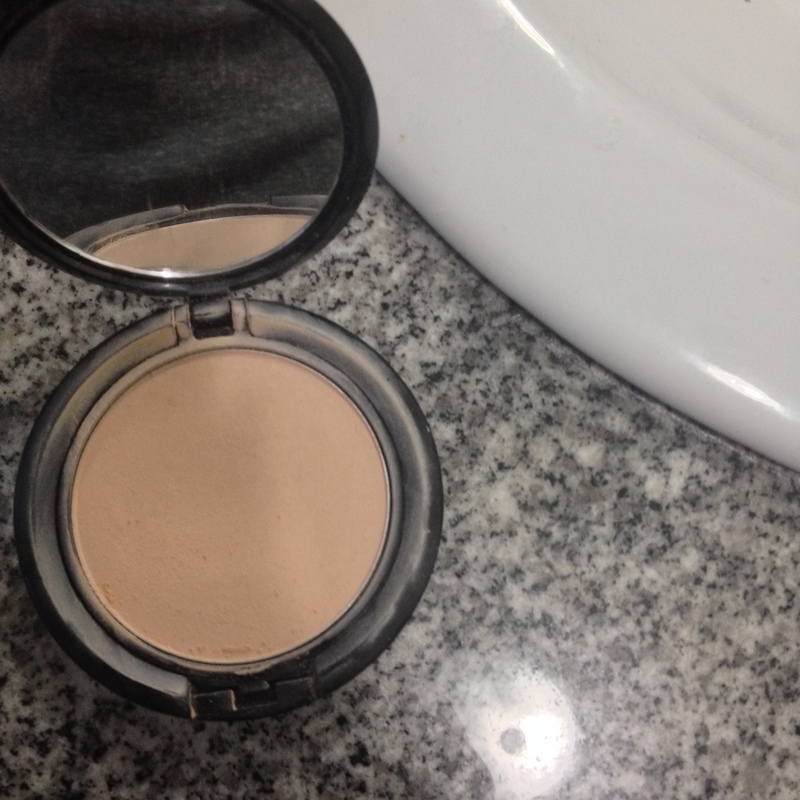 I primarily use it as a base and enjoy a fair amount of wear time with this powder. Price wise, this powder foundation retails for $9.50 on NYX’s website, which for a decent powder foundation is not bad at all. Personally, I do not own many powder foundations but I have found myself reaching for the Stay Matte Not Flat powder more often after this five tries post. This is a great drugstore powder foundation and I reach for it over my high-end powder from Clinique. I give the NYX Stay Matte Not Flat Powder Foundation 3 Beauty Bubbles: Suitably Poppable.